Storms can cause severe damage from high winds, heavy rainfall and storm surges not only to coastlines but also further inland (see windspeeds, i.e. 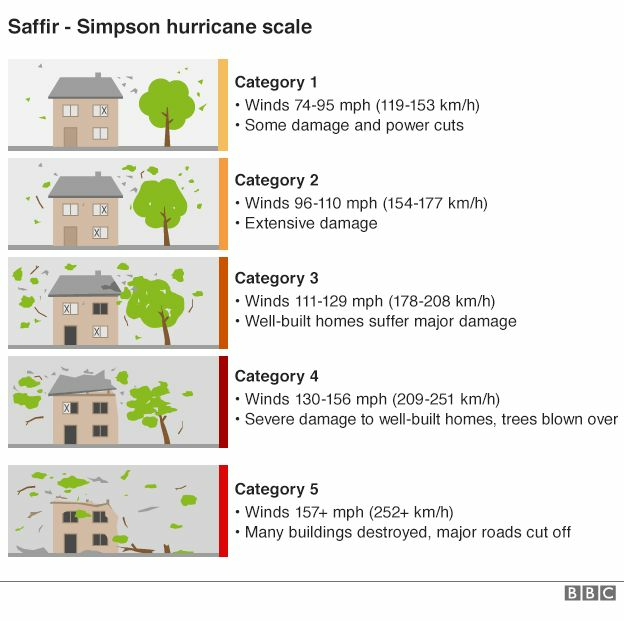 Beaufort Scale and SSHWS Saffir–Simpson hurricane wind scale). Flying debris can be very dangerous and excessive water can cause devastating floods, land- and mudslides. Coastal areas are particularly prone to damage as storm surges and wave action combine to erode foundations that weaken and may fail. 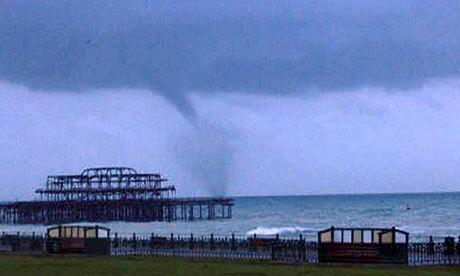 In addition thunderstorms produce lightning which can damage property and kill or severely injure people. Remember, rubber-soled shoes and rubber tires provide NO protection. However, steel frames, i.e. hard-topped vehicle, provides increased protection if you are NOT touching metal. Generally, you're much safer indoors or in a hard-topped vehicle during lightning than outside. determine where you would go and how you would get there if you needed to evacuate; alternatively consider to shelter-in-place. cover windows – permanent storm shutters offer the best protection. Another option is to board up with 5/8” marine plywood, cut to fit and ready to install. Tape does not prevent windows from breaking. reinforce your garage doors; wind entering a garage can cause dangerous and expensive structural damage. 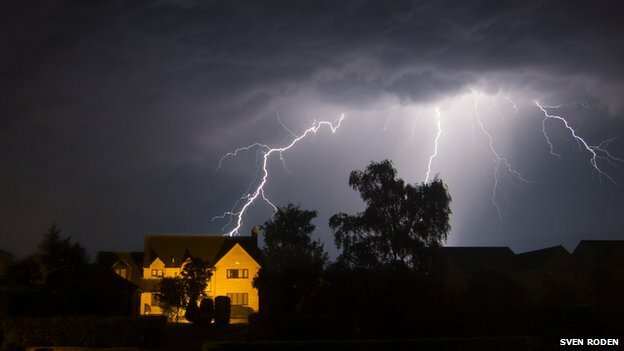 Lightning strike injures three including two children in Country Antrim; BBC: How do you recover from being struck by lightning? Which Emergency Kit is right for you?